Enter numerals only. You must be 18 or older on the day of the pilgrimage to register. Participants are asked to arrange for their own drop-off and pick-up at the beginning and end of the pilgrimage. Exceptions can be made for extreme cases. Please contact the organizers to arrange logistics. 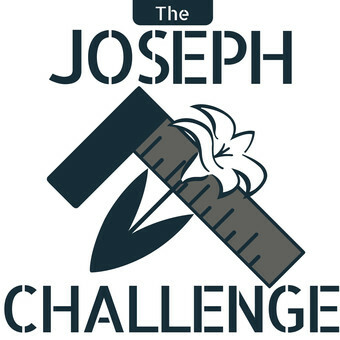 Participation in The Joseph Challenge is free, but we do accept donations. If you are willing to contribute, select "Yes" and we will contact you soon. This agreement releases the organizers of the Joseph Challenge, Those Catholic Men, Inc, and all partnering and associated organizations of the Joseph Challenge from all liability relating to injuries that may occur during the Joseph Challenge pilgrimage. By signing this agreement, I agree to hold the organizers of the Joseph Challenge, Those Catholic Men, Inc, and all partnering and associated organizations of the Joseph Challenge entirely free from any liability, including financial responsibility for injuries incurred, regardless of whether injuries are caused by negligence. I also acknowledge the risks involved in an activity such as the Joseph Challenge Pilgrimage. These include but are not limited to tripping, falling, automobile accidents, and heat and weather related risks. I swear that I am participating voluntarily, and that all risks have been made clear to me. Additionally, I do not have any conditions that will increase my likelihood of experiencing injuries while engaging in this activity. By signing below I forfeit all right to bring a suit against the organizers of the Joseph Challenge, Those Catholic Men, Inc, and all partnering and associated organizations of the Joseph Challenge for any reason. I will also make every effort to obey safety precautions as listed in writing and as explained to me verbally. I will ask for clarification when needed. Have questions? Not sure what is required for the Joseph Challenge? *NOTE: You must click "Submit" or your registration will not go through.